The importance of infrastructure for economic growth, jobs, and access to markets and services in Solomon Islands. … From air and marine transport links, to good roads, telecommunications and energy generation, all are needed for provision of reliable services, and to enable local businesses to grow and expand. The Importance of Infrastructure for Economic Growth, Jobs, and Access to Markets and Services, infrastructure refers to the fundamental facilities and systems serving a country, city, or other area, including the services and facilities necessary for its economy to function. Infrastructure is composed of public and private physical improvements such as roads, bridges, tunnels, water supply, sewers, electrical grids, and telecommunications. This includes roads, bridges, railways, etc. Soft infrastructure refers to all the institutions that maintain the economic, health, social, and cultural standards of a country. Includes educational programs, parks and recreational facilities, law enforcement agencies, and emergency services. CPEC is estimated to bring $62 billion in Chinese investments to Pakistan over the next 15 years for building transportation networks, special economic zones and power plants to help Islamabad improve its manufacturing capacity and overcome energy shortages. Chinese investment has helped Pakistan upgrade and construct new highways and power plants that have effectively addressed electricity shortages in Pakistan. Its created more than 70,000 jobs for locals. Pak-China Friendship is higher than the Himalayas. Both countries are bound in diplomatic, political social and economic relations spreading over decades which are constantly gaining strength with the passage of time. 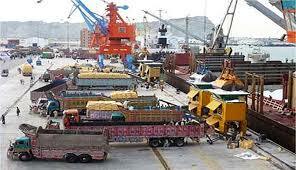 China Pakistan Economic Corridor has further strengthened this friendship. Chinese and Pakistani investors will get an equal opportunity to invest in economic zones that will be established along the China-Pakistan Economic Corridor (CPEC). The CPEC will open doors to immense economic opportunities not only to Pakistan but will physically connect China to its markets in Asia, Europe and beyond. Almost 80% of the China’s oil is currently transported from Strait of Malacca to Shanghai, (distance is almost 16,000 km and takes 2-3 months), with Gawadar becoming operational, the distance would reduce to less than 5,000 km. Gawadar will promote the economic development of Pakistan and become a gateway for Central Asian countries, including Afghanistan, Uzbekistan, linking Sri Lanka, Iran and Xinjiang to undertake marine transport. Linking 3 billion people in Asia, Africa and Europe, part of a trans-Eurasian project France prepared to invest in CPEC projects. Volkswagen and Siemens have shown their desire to invest in Pakistan, companies were interested to invest in diverse fields especially Information Technology and auto manufacturing. UAE likely to make new investments in Pakistan. United Arab Emirates based group will invest US$ 970 million to build a Medical City in Islamabad to help growing medical needs of the citizens. Saudi Plans to Invest in CPEC Project With Pakistan. Riyadh will be looking into setting up of an oil refinery at Gwadar, invest in a copper and gold project in Balochistan’s Reko Diq and LNG-based power projects in Punjab. Shanghai Electric Power and evinced keen interest of SEP to in power sector of the country. Chinese Ambassador to Pakistan Yao Jing has said that Chinese government would continue its efforts to bring more investment in Pakistan. France is opening French language institutes in Peshawar, Faisalabad and Karachi. Pakistan is on track. Gaining the status of an “emerging market”. Attract foreign investment into Pakistan. InshaAllah Pakistan into an Asian emerging market. CPEC develop and expand Pakistan’s economic base, infrastructure, industry, agriculture, trade, information technology and tourism on modern trends to help transform the country into an ‘Asian Tiger’ soon. Founder of Pakistan Muhammad Ali Jinnah said- There is no power on earth that can undo Pakistan . Published in The Asian Telegraph on December 28th, 2018.